Located in the heart of the Rutherford Bench, we are a small family-owned Napa Valley winery devoted to producing great wines for great causes. Farmed organically and solar powered, Staglin Family Vineyard makes wines that are consistently rated among the top wines in each vintage. After educational vineyard viewing and a walk through our state of the art winery cave, your host will seat you at a mahogany table in our elegant Steckter House Visitor Center where you will taste at least 4 current release wines. View from Tasting Room: Vineyard and valley views. To join the wine club, visit www.staglinfamily.com or call 707-963-3994. Wine club members receive a guaranteed allocation of wines in the spring and fall. Club members can attend tours and tastings for free (up to parties of 4). A special wine club event is held each fall. Contact Lynda at 707-963-3994 for additional details or email Lynda@staglinfamily.com. 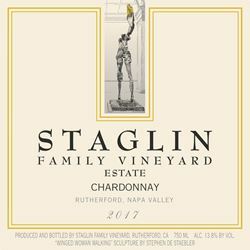 Staglin Family Vineyard is certified under the Napa Green Winery Program by the Napa County Department of Environmental Management (DEM) and the Association of Bay Area Government’s (ABAG) Green Business Program and completed all the regulatory components needed for environmental sustainability. These components included developing water and energy conservation methods, preventing pollution, and reducing solid waste. In addition to developing sustainable winery practices, this program is set to become the standard for the state of California. Staglin Family Vineyard is certified under the Napa Green Certified Land Program. Staglin Family Vineyard has created and implemented a customized farm plan with measured results that addressed all aspects of its property, vineyard land as well as non-farmed land, including practicing soil conservation, water conservation, stable drainage, riparian corridor enhancement, fisheries and wildlife habitat enhancement and long-term improvement and sustainability.